Sartorial passion with a Finnish flair. Here's what I found from the summer sale bins this week. Most are pretty good hybrids for both summer weather but will also be useful when the fall really hits (Although this week started to be quite freezing already..). 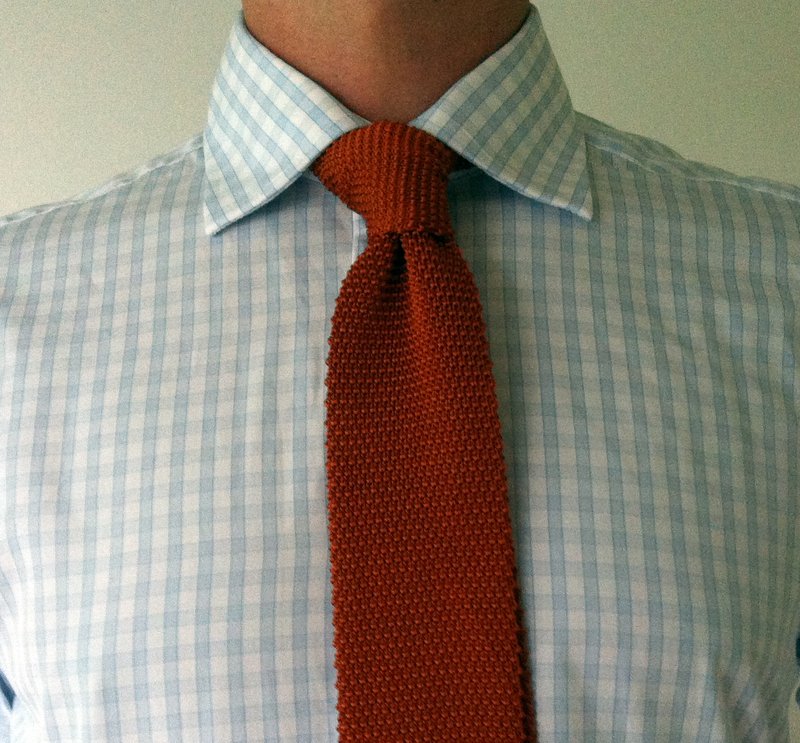 First up, a nice burnt orange / terracotta knit tie. Perfect width, about 6.25cm. 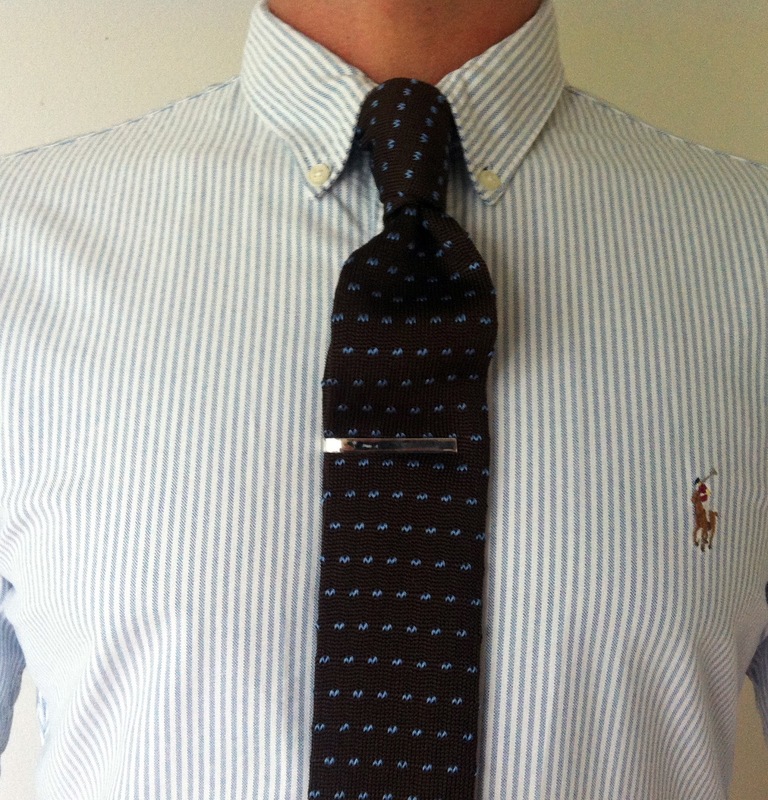 Paired here with a blue / white gingham check spread collar shirt. Second, a good all-arounder, brown knit tie with some light blue details. 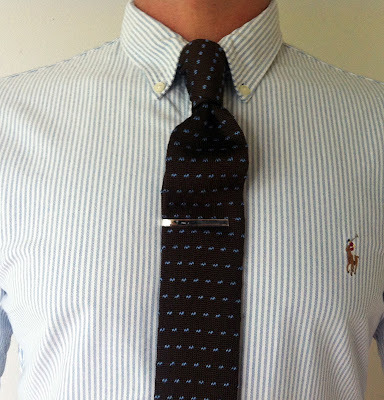 I think this will be mostly used in the more preppy and Ivy-themed combinations, so I've combined it here with a Polo Ralph Lauren OCBD (Oxford Cotton Button-Down shirt). Third, a nice striped knit tie from Berg & Berg. 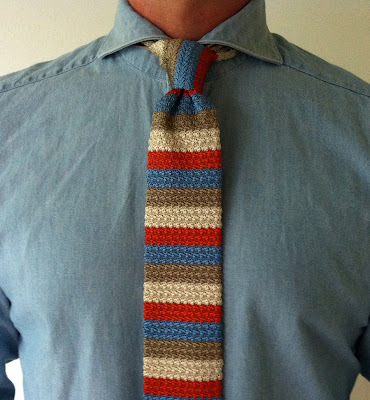 I love the colors and pretty much bought this one to be worn with my Chambray shirt, as worn here. Just love how the champagne and the shirt's fabric work together. 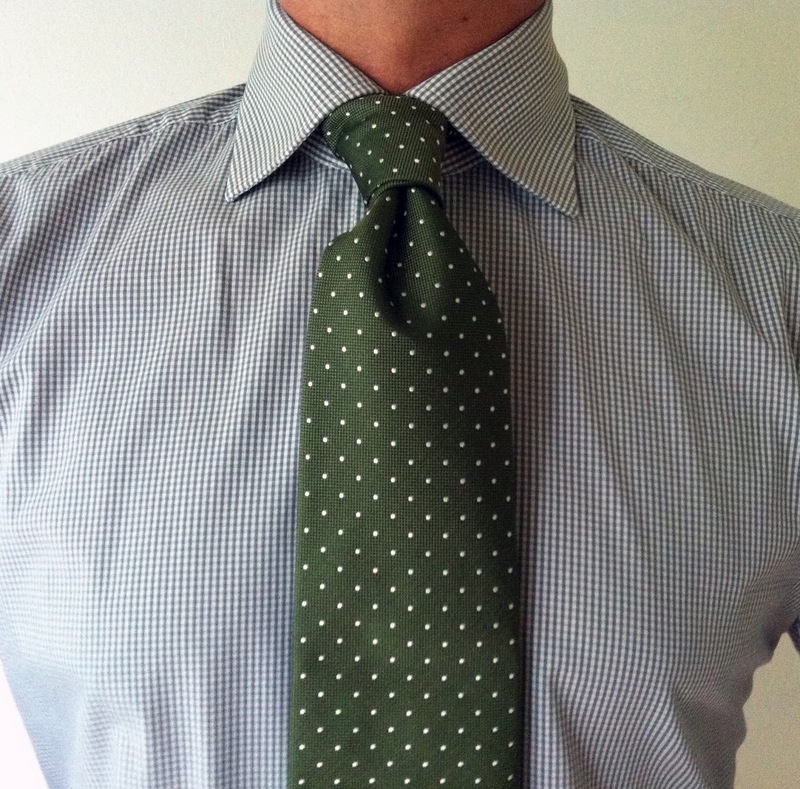 Then, an olive silk tie with white pin dots, also from Berg & Berg. A classic that I've been missing for a long time. Welcome to my wardrobe, little one. Pictured here with a grey mini-gingham check spread collar shirt. How to heal your suede shoes after a night out?